traveled to Indianapolis, Indiana, for National FFA Convention. Students attended keynote addresses, networked with FFA members from across the country and learned about career and educational opportunities at the Career Show and Expo. During educational tours, students visited Caterpillar, where they walked through the engine production factory, and members “kissed the bricks” at the Indianapolis Speedway and Museum. The Salisbury FFA Chapter received several recognitions during National Convention including being named as a three star chapter. 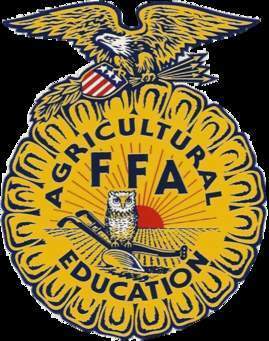 Three students, Emma Ricketts, Olivia Sloan and Allison Binder were selected for National FFA Band. They were among Missouri’s fifteen band members. Emily Binder received her American FFA Degree, the highest award an FFA member can attain. Seventeen members of the Salisbury FFA Chapter attended National FFA Convention in Indianapolis, Indiana October 24 - 28. Salisbury FFA Chapter members toured Caterpillar, where they learned about career opportunities at this global agribusiness company that specializes in engine production.